Spike Lee's latest film may be set in the 1970s, but it's themes have never been more important. Spike Lee’s latest film, BlacKkKlansman, is based on the true-to-life-story of Ron Stallworth, the first African-American police officer and detective in the Colorado Springs Police Department, who, along with one of his white colleagues, infiltrated the ranks of the Ku Klux Klan in the early 1970s. During the course of the investigation he identified a number of members in prominent public positions, including members of the US military, and even had a personal correspondence with the KKK Grand Wizard himself, David Duke. The film serves not only as a remembrance of the deeply troubling past of race relations in the United States, but also as a timely reminder of the nefarious underworld of white nationalism that has shown a resurgence in recent years. 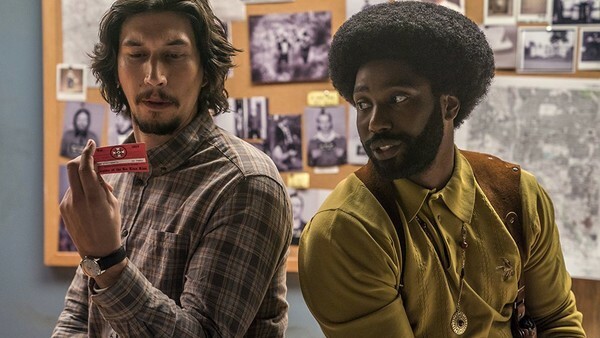 BlacKkKlansman features a stellar cast, experienced director, and is one of the most culturally relevant films of the decade so far. Couple that with the rave reviews it received at the Cannes Film Festival, and it is time to get ready for the breakout hit of the summer. With a cast including two of Hollywood’s rising stars from the last few years, Star Wars’ Adam Driver and Spider-Man: Homecoming’s Laura Harrier, BlacKkKlansman looks set to showcase fresh talent and contain some excellent performances. It also features more well-known acting talent from That '70s Show star Topher Grace in possibly his darkest role to date, portraying Ku Klux Klan Grand Wizard, David Duke. Despite the familiar supporting cast members the film stars the relatively unknown John David Washington, son of Denzel, as the main character. However, despite the obscurity, this casting is an inspired choice and from the trailer alone looks as if it could be a career-defining performance. The film also includes a notable cameo from singer and civil-rights-icon Harry Belafonte, who delivers a moving account of a lynching carried out by the Klan in one of the film's most powerful and affecting scenes.